I've always wanted to travel more. The husband likes holidays abroad, he much prefers the almost guaranteed hot weather. I however burn upon looking at the sun so I'd really like to see more of my own country. More weekends away would be great and this needn't be expensive especially when there are so many reasonable hotels like Travelodge to get a room in. Described as a natural beauty, the idea of long scenic walks and the laying by a nice warm fire in the Winter months really appeals to me here. This place appeals to me, not just because my family are huge fans of their football team but also because of the museums and galleries they have to offer. I already have in mind where I want to go here, I'd love to visit Coombe Mill farm!! Now I know I don't live too far from London but with so much to see and do, I could go back here often and still not experience all that this city has to offer. Have you had any places in mind that you'd like to visit? Well Travelodge would like to lend a helping hand. They've kindly allowed me to giveaway a 1 night stay in any of their hotels (subject to availability) to one lucky reader. All you need to do is fill out the rafflecopter form correctly below. This giveaway is open to UK residents only and will close at 11.59pm on the 26th February 2015. The prize is for 1 nights stay for a maximumof 4 people and must be redeemed within 6 months of winning. Would love to stay in the Cotswolds Travelodge. 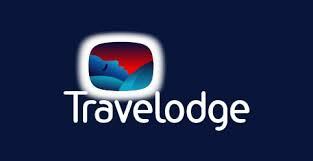 I would stay at one of the York travelodge's I really want to visit there this this year. London, so much to do there! in London for the night of my Hen Do in May! I'll be booking a travelodge room to break up the journey when I go to Cornwall as its a lonnnnnnng drive! But also always looking for the chance for a night out in Manchester to see a band as the last trains come back too early! Hemel Hempstead so that we could go to the indoor Ski place. London would be my choice. I`d love to stay in London, i spent alot of my youth there with my grandparents and would love to revisit. Chester - I'd visit my son and it's a great place for shopping! I love the Travelodge at Caernarfon by the Menai Straits. Peterborough so that we could meet up with friends and family. It's my 40th birthday in May so it would be nice to have a night away, perhaps in Durham, or Leeds. I would go to Yorkshire and visit my friends. We've never been to Liverpool and I'd love to go. I'd love to go to Hastings to explore the history there. I'd love to visit Liverpool, i'd check out the Liverpool one! I'd have a weekend in Manchester for shopping, eating & treating myself! Liverpool for me, I am a Manchurian but Liverpool is my 2nd fave city! love to go to liverpool. Maybe somewhere in Yorkshire would be nice! We have friends in Sunderland so that would be a good place to stay! London because my daughter has never been. I'd love an overnight stay in London, I've been promising myself a ride on the London Eye for 15 years! Manchester, I'm seeing Steel Panther there next month and it'd be great to stay over rather than have to drive all the way back home after the gig. Plus, I haven't been there for years so it'd be fab to have a look around the city and see how it's changed since I was last there. Central London so we can visit all the tourist attractions! I would stay somewhere in Wales because I have never been! I would stay in bristol to see family! My daughter would love to visit London and see the sights so if I won I'd go there. York or somewhere in Scotland. I would love to stay in york, london or great yarmouth please. I'd like to stay in wales. London Covent Garden - I never tire of it. I'd love to go to Scotland - it's so far away and after a drive of around 9 hours to the Highlands, a night in a comfy bed would be fab! Heathrow Travelodge to make it easier when going on holiday! I think we'd go to London and visit a few fun places while we're there..we'd also visit my daughters godfather who we don't get to see often as we live so far away! Christchurch in Dorset. We visited many years ago and I would like to revisit as it is so beautiful. I would go to manchester to see my lovely internet pal! London - its the total opposite to my country life and i just love the buzz i get when i visit there! Sheffield so I could visit friends and family. I'd like to stay at Towcester Silverstone so I can visit the track!